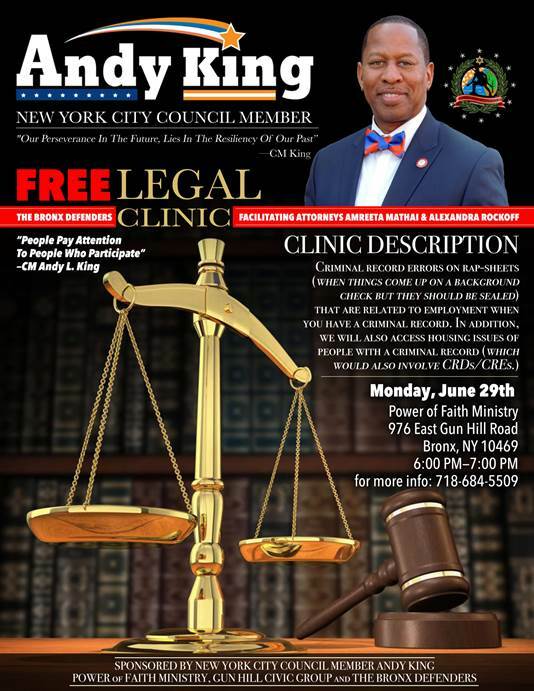 Next Monday, June 29, 2015, The Bronx Defenders, together with the office of New York City Council Member Andy King, Power of Faith Ministry, and Gunhill Civic Group, will be hosting a free legal clinic for community members. 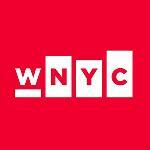 The legal clinic will address criminal record errors on rap sheets (i.e. when things come up on a criminal background check that should be sealed) related to seeking employment when you have a criminal record, as well as housing issues of people with a criminal record. Bronx Defenders Civil Action Attorney Amreeta Mathai and Civil Legal Advocate Zoni Rockoff will be co-facilitating the legal clinic. The legal clinic will take place at the Power of Faith Ministry at 976 East Gun Hill Road, Bronx, NY.